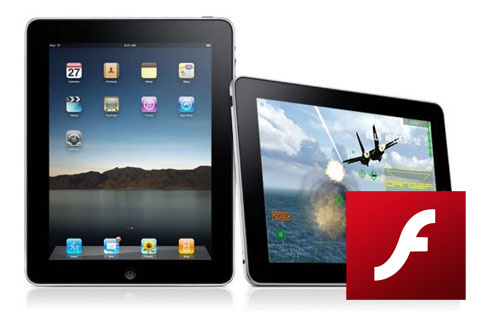 Apple still doesn’t allow Adobe Flash on its iOS as allegedly Steve Jobs personally dislikes the software. Needless to say, some fans get frustrated. If you own a jailbroken iPad, your problem may be solved in the near future. The company behind the Spirit Jailbreak, Comex, has developed a new application called Frash which allows Jailbroken iPad owners to run Flash in their Mobile Safari browser. Though not available publicly yet, the developers have made the app’s files available on GitHub to allow any developer to tweak and improve the software for iOS. It doesn’t come as a surprise that Frash is a port of the Android Flash plug-in that Adobe recently released for Google’s mobile operating system. The app will only run in the Mobile Safari browser, but the company plans to support the iPhone 3GS and iOS 4. With a huge number of Web videos and games running on Flash, Apple users are no doubt at the losing end but Frash might change that for a number of iPad, iPhone and iOS users.